At a property auction, contracts for the sale are exchanged on the fall of the gavel. Simple, fast and effective. 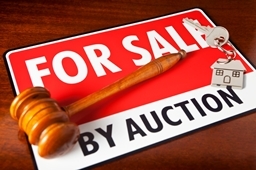 Sale by auction is a tried and tested alternative to sale by private treaty or sale by tender. When advising you on selling, Red House Estate Agents always considers which method is best suited to the sale of your property. Through our links with a London Auction House, we can be sure to offer you a great solution if you decide to auction your property. For a free appraisal and advice on whether sale by auction is right for your property, please contact Company Director and Auctioneer Ian Munro-Price FNAVA (Fellow of The National Association of Valuers and Auctioneers) for confidential advice. You can contact Ian at our Weymouth office on 01305 300800 or email him. Download our guide to selling at auction. Download our latest auction catalogue.